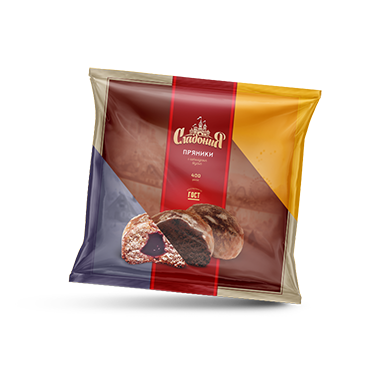 Five crispy wafer sheets and delicate melting filling with natural nut paste - all this is covered with delicious 100% milk chocolate that will not leave anyone indifferent! 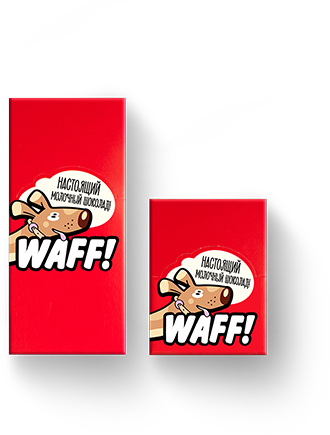 WAFF candy is packed into a bright wrapping developed by our design team, and has a peculiar picturesque show-box of two different sizes. 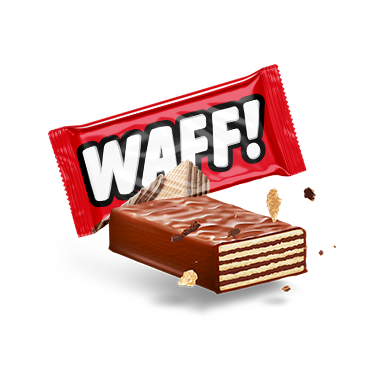 WAFF biscuits are in stable good demand owing to their bright taste, crispy qualities and high quality. 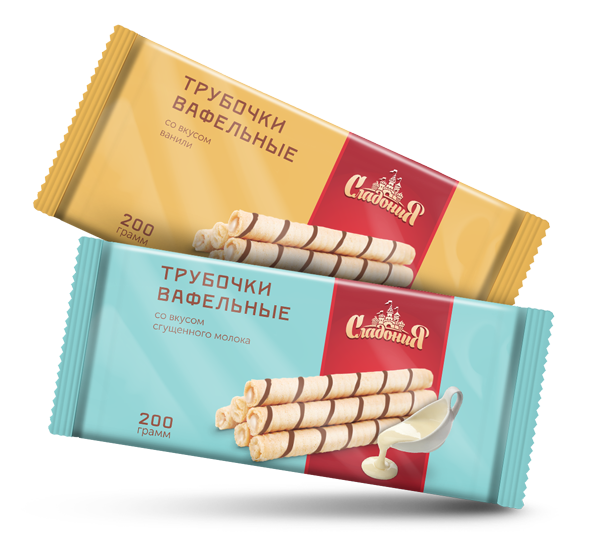 The Novye Tekhnologii confectionery factory takes the leading position in the industry. It has proved itself as a reliable partner that continues successful advancement and sees broad opportunities for further expansion in other markets. The main goal of the Company is innovative approach to production, high quality of products, and satisfaction of expectations of most exacting consumers. The second production line of the same capacity was launched in 2011. The second production area was put into operation. A HAAS-made wafer candy production line was installed and launched. 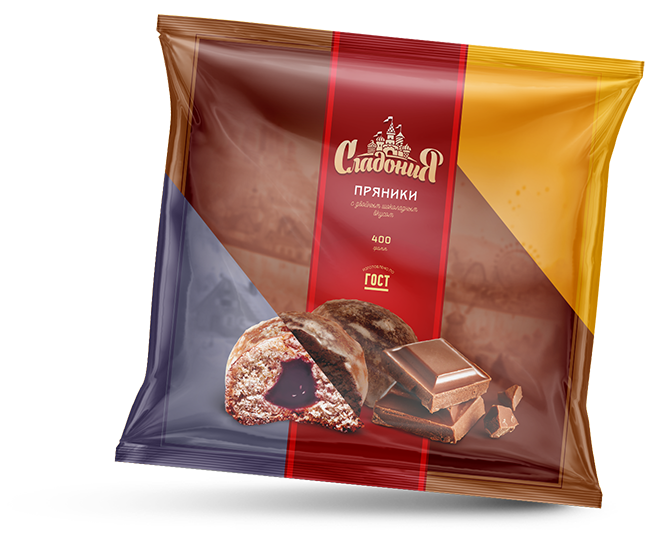 The candies were marketed under the brand name Prazdnik Slastiony (Sweet Tooth’s Feast). By the end of 2012, a new automatic production line was launched (made by the Italian company Laser). 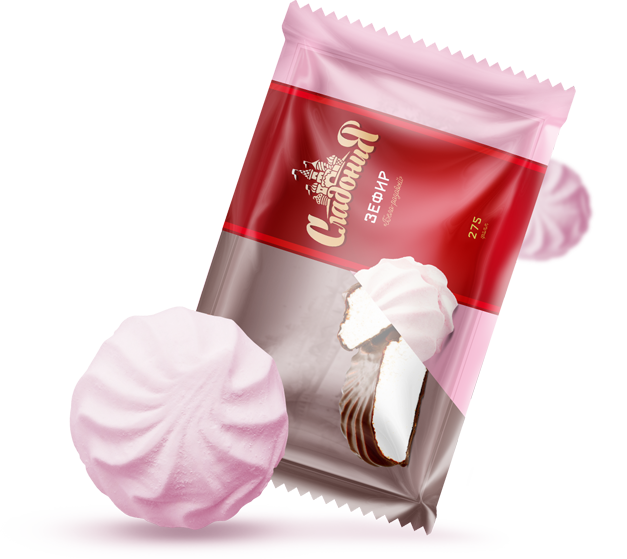 It produced custard cakes (prianiki), also branded as Prazdnik Slastiony. 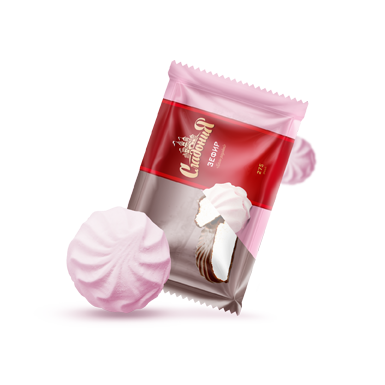 In 2013, two Prazdnik Slastiony marshmallow automatic production lines were launched. The lines produced by the Russian company Akmalko had a capacity of 450 tons of marshmallow a month. In 2015, the cake line was upgraded to 730 tons a month; a new brand Sladonia was launched. The marshmallow lines were upgraded to 530 tons a month. 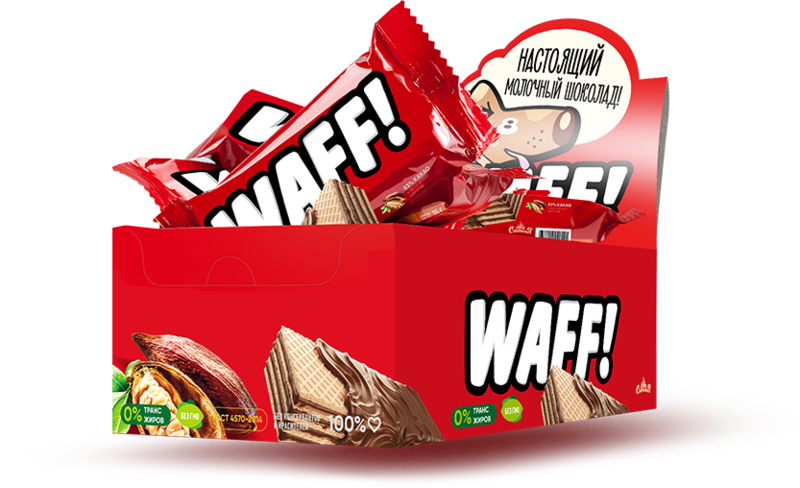 In 2016, the wafer candy line was upgraded; new brands WAFF and Chudesny Krai (Wonderful Land) were launched. 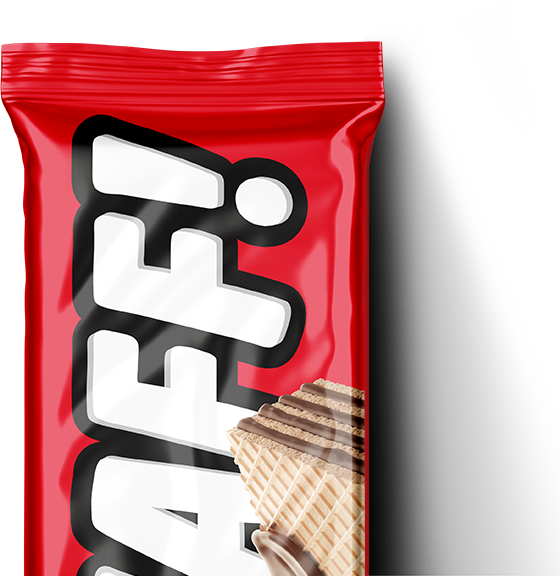 In 2017, a HAAS-made wafer roll production line was installed, with a capacity of 100 tons a month. Also in 2017, another wafer roll production line of the same capacity was launched. The plans for 2018 include launch of an oatcake production line, with a capacity of 500 tons a month, and the second stage of upgrading of the wafer candy production line with an option to make differently-sized candies. In accordance with legal requirements, the Company has procedures based on HACCP principles developed, implemented and maintained. The carefully selected suppliers supply tailor-made primary products, made taking full account of the technological peculiarities of the equipment and peculiarities of the recipes. Each batch of products is subject to rigid quality control. Laboratory-technological control is performed by Quality Department staff round-the-clock and at all production stages. The quality of the ready-made products is assessed by the Tasting Commission, which also forecasts the level of popularity of a new product. 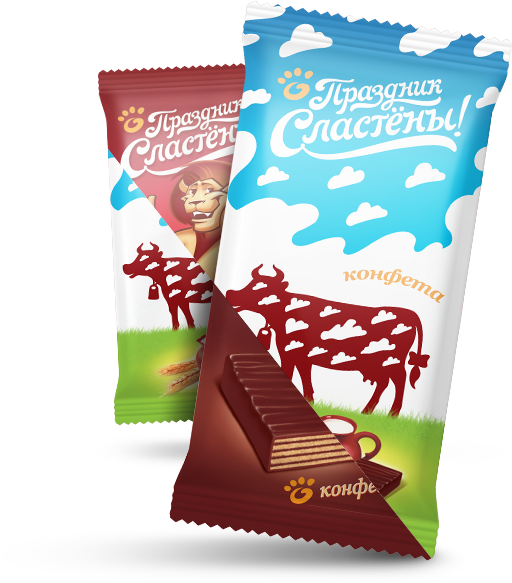 The main primary products for the Novye Tekhnologii confectionery production are purchased on tender according to the parameters required by the production. 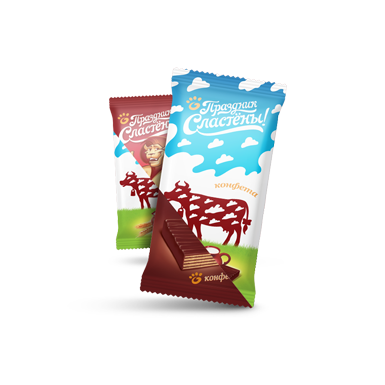 The key aspects of the business model of the Novye Tekhnologii confectionery production are as follows: Implementation of fully automated full-cycle production based on own facilities; high-quality product supplies to major retail chains. This principle lets us exclude the human factor as much as possible, enhance the Company’s position in price formation policy, make the product affordable for broad audience, for it spares us the need of maintenance of branched distribution and marketing networks. The Novye Tekhnologii’s ability to design, build and reconstruct production facilities quickly and properly plays important role in assurance of its work and high-quality business. This is why the Company commits sophisticated design and construction works to the trust of recognized world champions in these market segments. The Company’s products are widely known in Russia and the CIS countries under the brands WAFF, Prazdnik Slastiony, Chudesny Krai, Sladonia. The Novye Tekhnologii sells its product through well-developed national retail chains throughout Russia and beyond. We are always open for cooperation on sales of our products as well as manufacture of private-label goods. 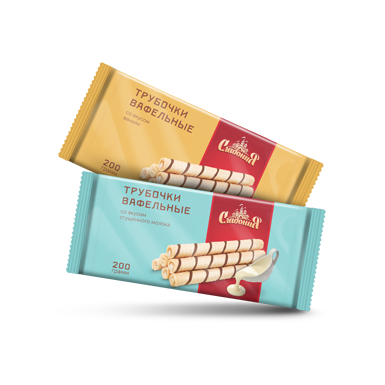 Under the Sladonia brand, the Novye Tekhnologii confectionery factory crafts an exclusively delicate crispy dessert made of fresh natural ingredients. Currently the dessert is made with a flavour of boiled condensed milk. Development of wafer rolls with chocolate-nut flavour and natural nut paste is underway. Our cakes are remarkable for a great diversity of tastes and fillings, and their naturalness. They are crafted by traditional Russian technologies and unique recipes from specially selected flour. We are one of the few companies that use aseptic natural apple sauce. It became possible owing to the favourable climatic conditions in South Russia. A special technology lets us achieve homogeneous soft consistency and clear-cut image on the surface of the marshmallow. 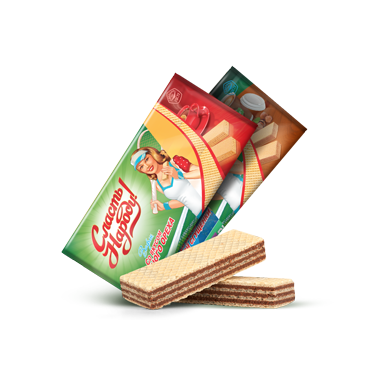 The Novye Tekhnologii confectionery factory is one of Russia’s leading and sought-after wafer producers. 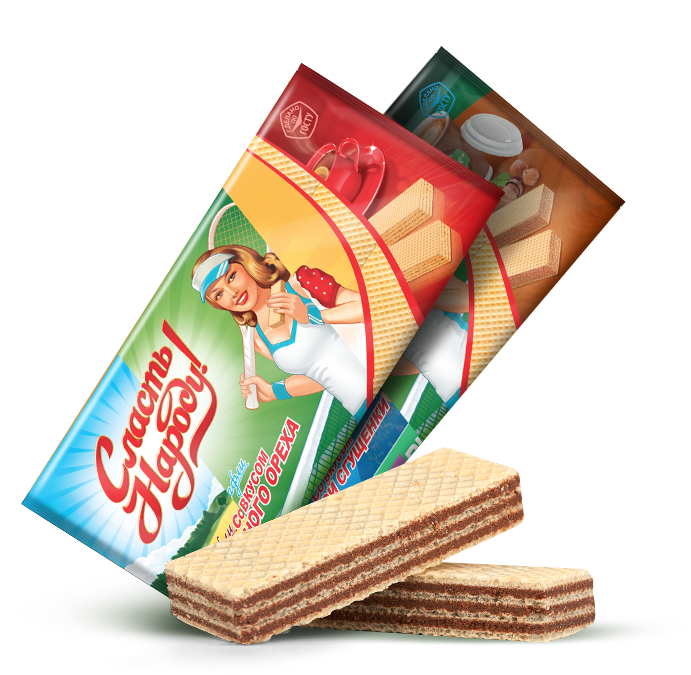 Wafers are produced after own recipes with the use of most advanced technologies, in accordance with global quality standards and Russian GOSTs. 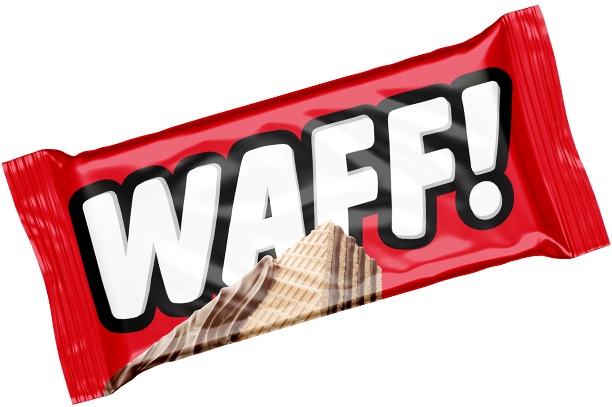 Our wafer candies are five wafer sheets and delicate, melting filling coated with confectionery glaze. Candies in white glaze, a novelty of the year, quickly conquered the consumers thankful to their excellent taste. to cooperation and joint projects! We are looking forward to cooperation and joint projects! Please send us your order with your contacts, and we will get in touch with you for the details. Our managers will get to you as soon as possible.